WJE architect Daren Kneezel explains the process by which we test the durability of dimension stone cladding. WJE chemist Kim Steiner walks through one method used to identify materials. 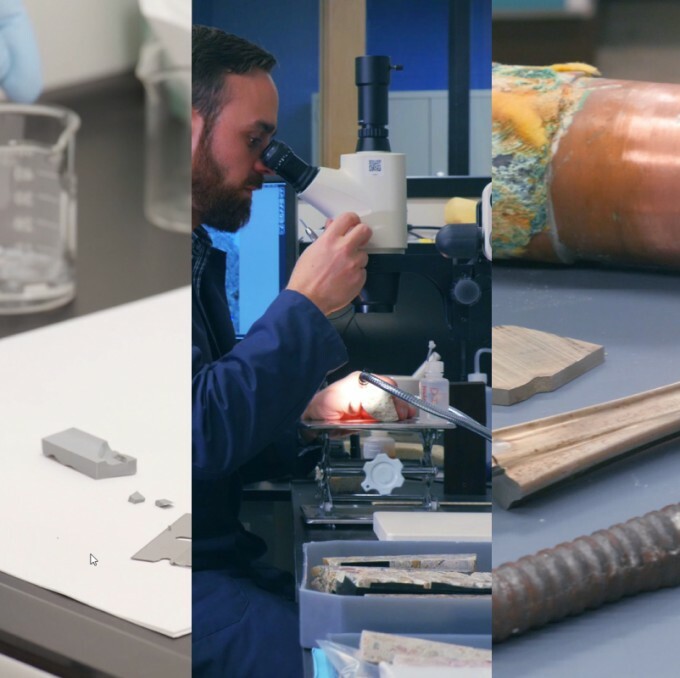 WJE's Janney Technical Center provides a wide range of chemical, petrographic, metallurgical, environmental, and structural testing capabilities to our clients. Take a look inside our laboratories as WJE experts walk through some of the tests we regularly perform to solve our clients' built world problems. Be the first to know when new "Solving for Why" videos are available by subscribing to WJE News. Have questions about our laboratory and testing capabilities? Let us know!